Maximum number of allowed different hostnames per one domain (avoids subdomain crawling hell e.g. blogspot.com). 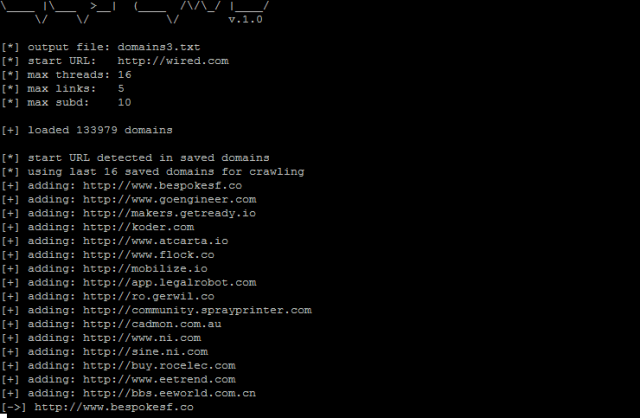 Can be restarted with same list of domains – last saved domains are added to the URL queue. Crawls only sites that return text/html Content-Type in HEAD response. Retrieves site body of maximum 1MB size. Does not save inaccessible domains.